Mumbai: N Chandrasekaran, chief executive and MD, Tata Consultancy Services expects the software major to do well in Q3 and Q4 and "be better than the similar quarters in the past many years and also the first two quarters as we expect most of the delayed project orders in Q2 to become materialised in the second half". Of particular importance is the Rs 180 crore worth of contracts from the country which should have been executed in Q2. I hope this to be done in Q3," he said. Chandrasekaran's optimism comes amidst the uncertainties about the outcome of the forthcoming American presidential polls scheduled for November 8 wherein the Republican hopeful Donald Trump has threatened to end outsourcing and put up many trade protectionist measures if elected to the White House. The US is the largest market for any domestic software exporter. 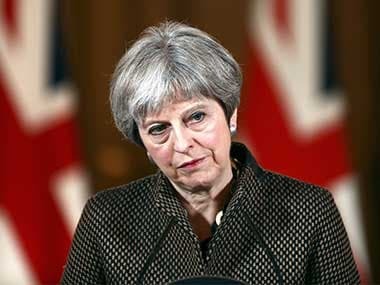 It also comes after British Prime Minister Theresa May's statement that she would begin the Brexit process in a hard manner from March. TCS reported a marginal dip in its income from Britain in the reporting quarter. Chandrasekaran, expects these two events not to have any serious impact on his business as "tech spending is a necessity in today's world and at best some clients may delay investments in technology and digital interfaces." "This, to me is true even of banking and financial sector clients, which has been soft in the reporting quarter and expects to be so in the remaining parts of the current fiscal year. Having said that I am not in a position to gauge the impact of these events on the macro front," Chandrasekaran said. He said that "growing uncertainties in the environment" are creating caution among customers and "resulting in hold backs in discretionary spending" and blamed the tepid numbers to volatility in markets like India and Latin America. "Maybe companies will delay their investments in technologies for a while, but they will continue to invest in technology and into the digital space," he said. He, however, quickly added that "having said that let me explain that I don't have any concrete idea as to how these events may impact these economies as well as the global economies on a macro level. If the impacts are negative as many fear, then definitely there we too will be hit. But I have no indication as of now from my client interactions that they have any plans to stop investing in technologies," the TCS chief said. 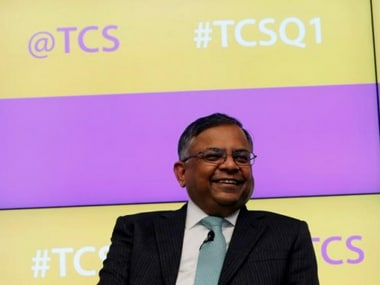 Incidentally, Chandrasekaran also said for TCS, which desists from offering guidance traditionally, the next two quarters will be best in many years saying many of the delayed contracts will be executed during the second half. Trump has threatened to end outsourcing and put up many trade protectionist measures if elected to the White House. The US is the largest market for the domestic software exporters. Also, British Prime Minister Theresa May had said she would begin the Brexit process in a hard manner from March. TCS has already reported a marginal dip in its income from Britain in the reporting quarter due to the massive plunge in the pound. 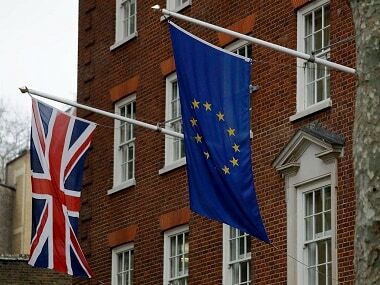 London is the financial capital of Europe where all the leading banks and financial institutions are based. On this, Chandrasekaran said, "even though we have been facing softness from the BFSI clients for some time, this, to me is true even of banking and financial sector clients, which has been soft in the reporting quarter and expects to be so in the remaining parts of the current fiscal year. Maybe there will some temporary impact on the BFSI spending. "I see a tendency for everyone to connect the not-so-good numbers from the BFSI clients to the Brexit and the US polls. As of now there is no structural issues with our BFSI clients, but only some client-specific seasonal delays. Nor I have so far got any such indications. Similar is the case with a Trump win as well, as tech investment is a necessity now. "Similarly, we serve most of the British national brands, and none of them said they fear end of outsourcing," Chandrasekaran added. TCS has already reported a marginal dip in its income from Britain in the reporting quarter due to the massive plunge in the pound. 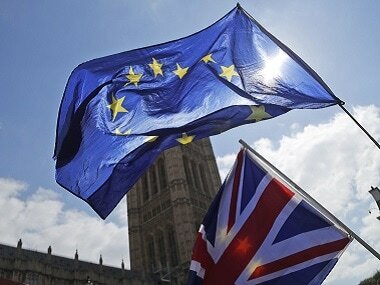 The battered British pound also played its part post the Brexit vote, chief financial officer Rajesh Gopinathan said, adding from an average of Rs 95 to the pound last year, the British unit is tracing at Rs 87 now and it expected to plunge another 7-8 per cent as the island nation moves closer to the exit. Chandrasekaran said the quarter was "good" from a profitability perspective "where despite multiple headwinds, our disciplined approach and focus on operations have helped us deliver a strong margin performance". "With technology increasingly at the forefront of business, we are confident that this is temporary... Over 180,000 TCScians are now trained with significant expertise in new digital technologies," he said. Compared to June quarter, net profit was up 4.3 percent, but revenue declined marginally in the quarter, which is considered to be a strong one for the industry. Growth was led by life sciences and healthcare, which grew at 4.7 percent sequentially in constant currency terms, followed by energy and utilities (up 3.6 percent). Europe led the growth chart with a strong 3.7 percent jump in revenues followed by Asia-Pacific at 3.5 percent sequentially in constant currency while North America grew 1.4 percent sequentially and Britain was flat with a negative bias. Its home market declined by 7.6 percent sequentially as orders worth Rs 180 crore got pushed to the third quarter, while Latin America and Japan also continued to show volatility, Chandrasekaran said. The company added 22,665 employees on a gross basis and 9,440 on a net basis, taking its total headcount to 3.71 lakh as of September end, Chandrasekaran said, adding in terms of arresting the attrition levels this quarter was the best at 11.9 percent. The country's largest software exporter said its operating margins rose 94 bps sequentially to 26 percent a tad over 25 percent in the past quarter, helped by digital revenues that rose 16.1 percent. Chandrasekaran said the way forward is digital and the Internet of Things. On client addition, Chandrasekaran said the company could not add any $100 million client in the quarter, instead it lost one as the client had divested the business it was working with during the quarter. During the quarter, TCS added one $50 million plus client and six $20 million plus clients, he said. Gopinathan said growth was led by life sciences and healthcare which grew at 4.7 percent sequentially in constant currency followed by energy and utilities (up 3.6 percent), manufacturing (up 3.1 percent), travel and hospitality (up 2.3 percent) and communication and media which grew 2 percent. The company said its total employee strength rose to 3,71,519 on a consolidated basis with gross addition of 22,665 and net addition of 9,440. Total attrition rate fell to 11.9 percent in IT services and was at 12.9 percent including BPS. The percentage of women employees rose to an all-time high of 34.3 percent while the number of nationalities was at 129. 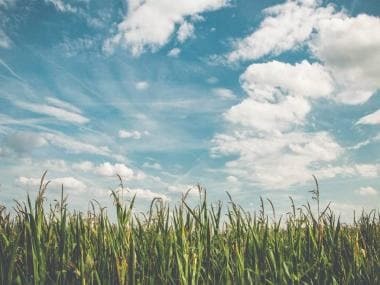 "We continue to hire in line with business demands and engage with our employees to help them learn and equip themselves with new skills to succeed in a digital world. The process of on boarding this year's campus trainees continues at the normal pace," said HR head Ajoy Mukherjee.